Set Up: 20x20 Grid with cones placed randomely inside the grid. Half the cones flipped upside down the other half up right. 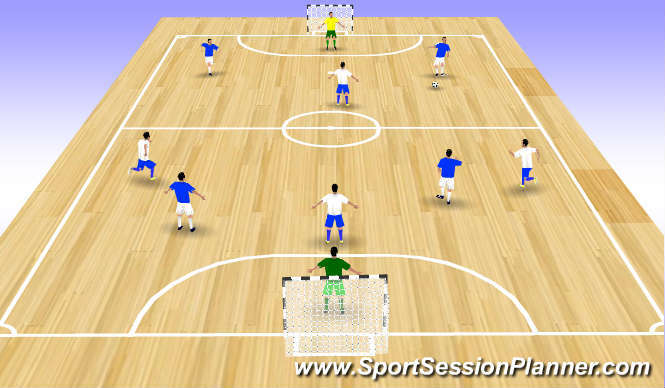 Objective: Split the players into two groups. 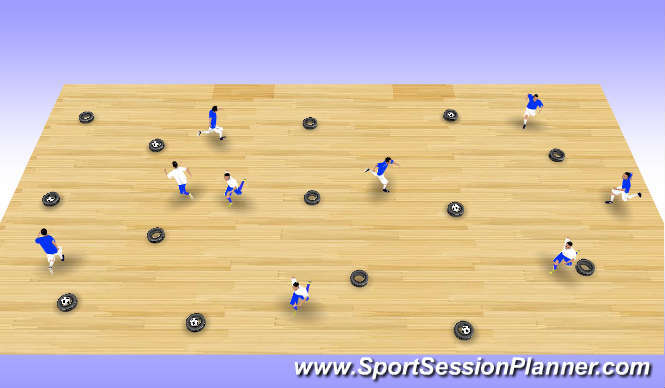 The aim of the game is for the one4 team to run around and flip over the upright cones while the other group is trying to flip them upside down. After 1 min switch roles. 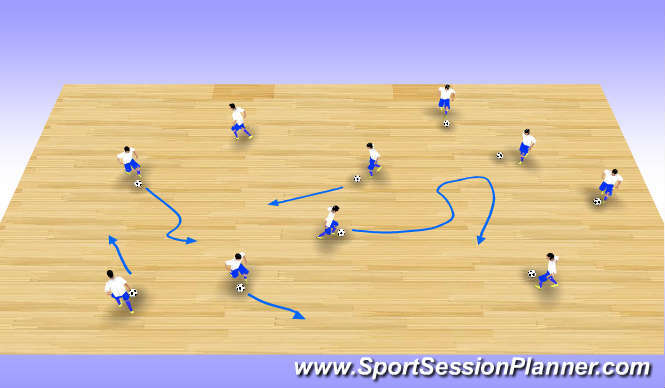 Progression: Players dribble the ball. Objective: The coach numbers the players in each team. 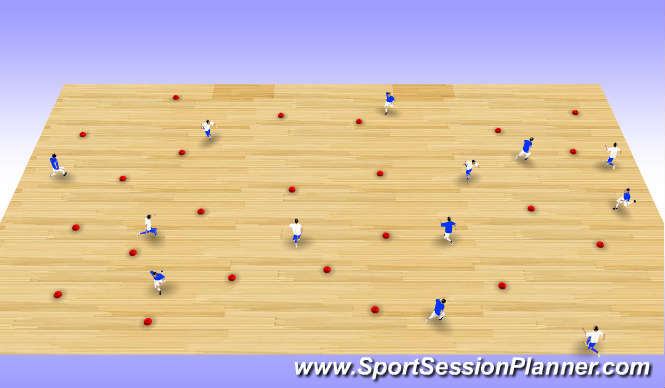 The coach plays a ball onto the field and calls out a number. 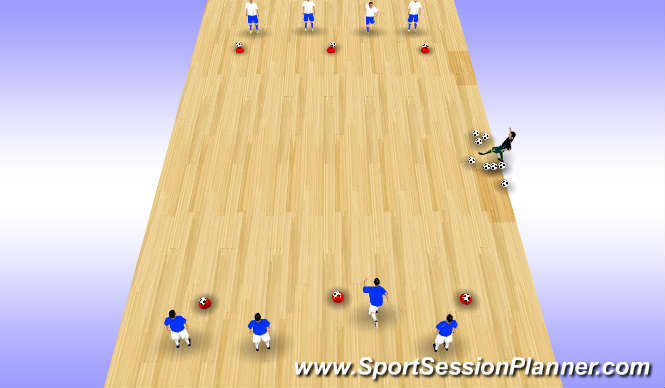 THe players compete to creating a 1 v 1 with the emphasis to knock the ball off the cone.